UK Horse Racing specialists RaceXpert welcome you to our website. Originally established in 2002 horse racing ratings authority RaceXpert very quickly became one of the UK's leading horseracing ratings compilers. Now with a massive number of satisfied horse racing fans worldwide using RaceXpert we lead where others only follow and the quality of our horse racing information and ratings is widely accepted by those with a genuine knowledge of the sport of horse racing as being second to none. Our service is used by both amateur and professional horse racing fans every day around the world, to give them the most accurate ratings available for every horse running in both the UK and Ireland. 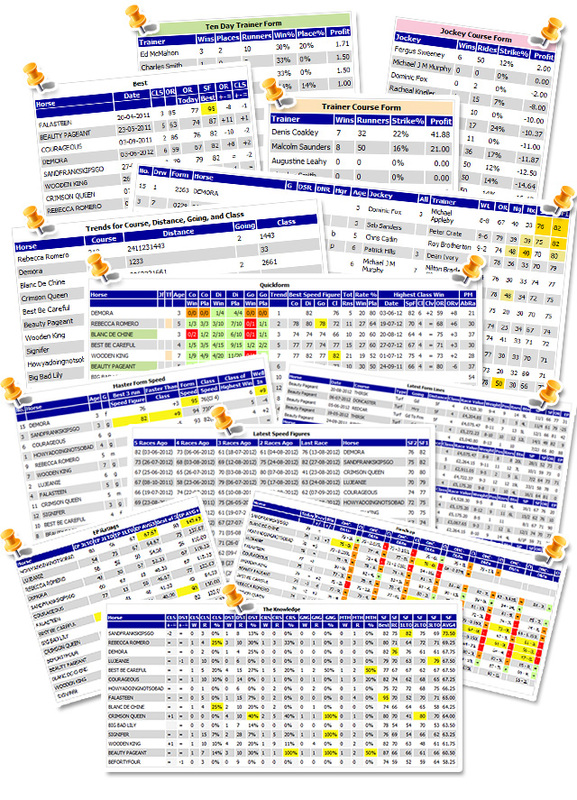 We list every horse in every race so that you can judge the competition in detail. We strongly believe that information is profit, the more quality horse racing information you have, the more your strike rate increases. As our many happy existing members already know, when it comes to horse racing ratings RaceXpert is without doubt the most consistently profitable horse racing service available. Extremely fast and easy to use RaceXpert Online suffers from none of the speed or compatibility issues associated with using software based products. Just blindly backing our top rated horses will throw up lots of daily winners. But RaceXpert is much more than just a ratings tool and has been designed for both the novice and professional alike. Indeed you can use it to view full form and past races from every foreseeable angle !! If you are a new to horse racing, and you feel overwhelmed, please remember that our friendly help is never more than a quick e-mail away. RaceXpert also has its own detailed and extensive help section which is constantly being updated. In the PRO Membership area of our online service you will also find profitable horse racing systems developed by our membership plus a completely unique tipping area which provides you with daily horse racing selections. Become part of the RaceXpert family today.